Welcome to our website. 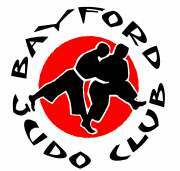 Here you will be able to find out more about Bayford Judo Club and the martial art and sport of Judo. Please take your time to browse our site. Bayford Judo Club has been running for about 5 years and offers Judo for both juniors and seniors from the age of 5 upwards. 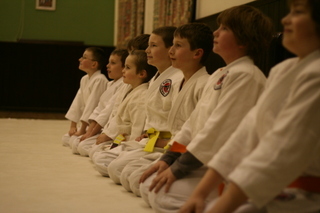 The club has a friendly atmosphere and caters for Judo at all levels. Beginners are always welcome, so anyone who would like to give judo a try can start at any time, just turn up wearing a loose sweat top and jogging bottoms and join in. Judo, which is translated literally in English as the "gentle way", teaches the principle of flexibility in the application of technique. This is the flexible or efficient use of balance, leverage, and movement in the performance of Judo throws and other skills. Skill, technique and timing, rather than the use of brute strength, are the essential ingredients for success in Judo. Judo can mean different things to different people. It can be an art, a fun sport, a discipline, a recreational activity, a fitness program, a means of self-defence, or a way of life. To many it is all of these and more.